A new Gaelic language sketch show created by Still Game director Michael Hines has been announced as part of BBC Alba's autumn season. Func will feature new acting and writing talent. 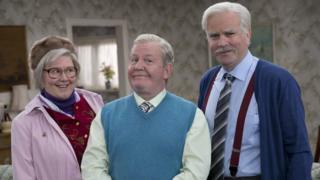 The final series of hit Scottish comedy Still Game is currently being filmed in Glasgow. BBC Alba's autumn schedule will also mark the start of a seven-day news service, bringing its An Là programme to weekends for the first time. The move has led to the creation of six new jobs in the Inverness. The schedule will also include expanded coverage of Scottish women's football.